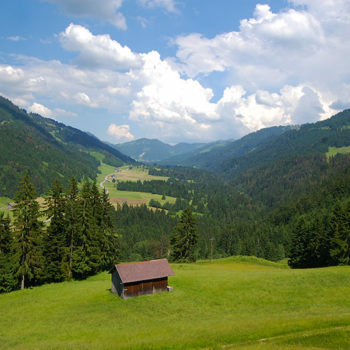 The westernmost state, Vorarlberg is also Austria’s smallest. 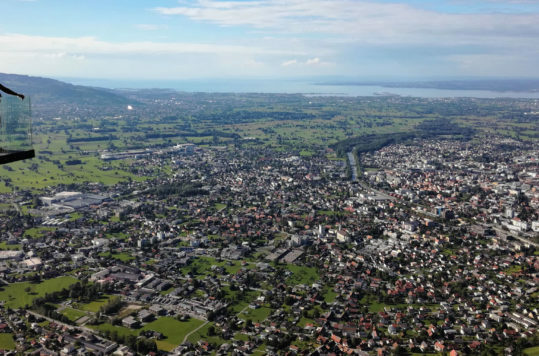 However, the 28-km shoreline on Lake Constance adds a special flair, in contrast to the state’s alpine hinterland. 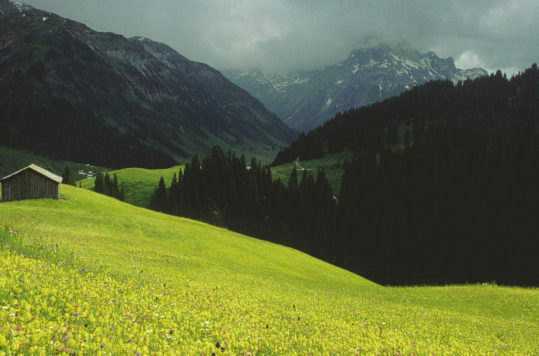 Vorarlberg is isolated from the rest of Austria by the Arlberg mountains. 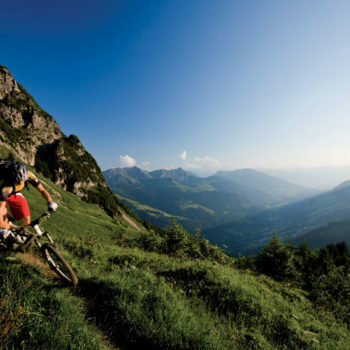 Hence its name, “before Arlberg”. No worries! 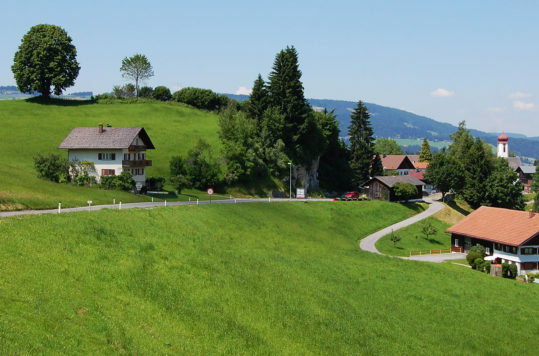 It’s connected to Tyrol by road and rail. Furthermore, the tiny state also differs from the rest of Austria both culturally and language wise. 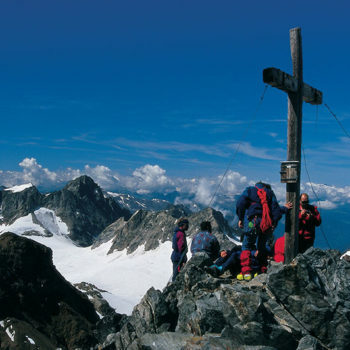 Austria’s second smallest state offers a multitude of activities and tourist attractions – summer or winter. 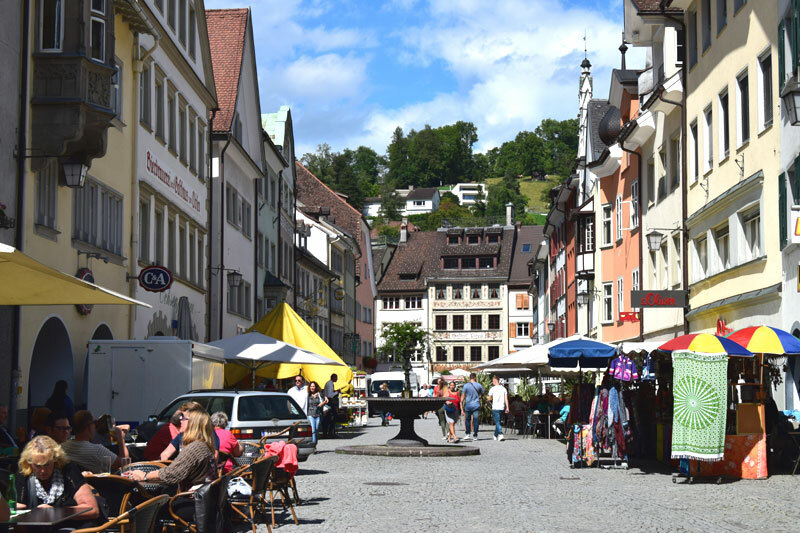 The majority of the state’s population are of Austrian-Germanic descent and they speak an Alemannic dialect of German, in contrast to the rest of Austria which uses a Bavarian-German dialect. 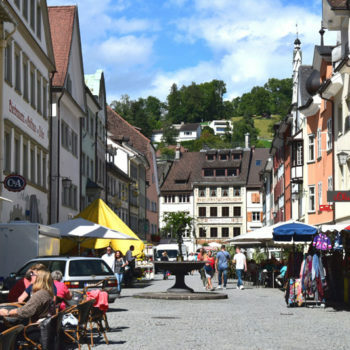 Consequently, many cultural features are often more similar to the Swiss and South Germans around Lake Constance. 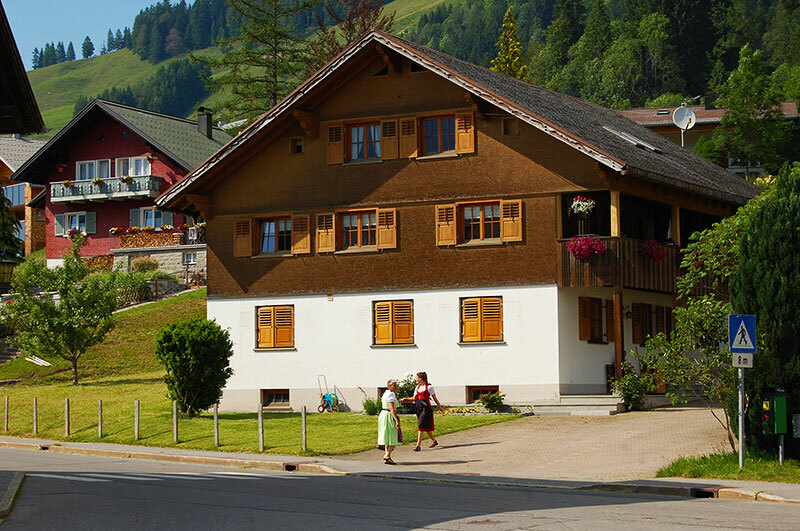 Notwithstanding, Vorarlberg still has an Austrian feel to it. 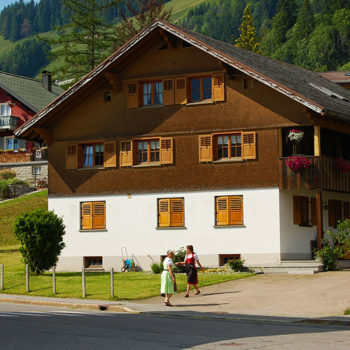 However, it wasn’t always the case that the people of Arlberg felt like Austrian’s. In a referendum after the WWI, 80 % voted to join Switzerland. 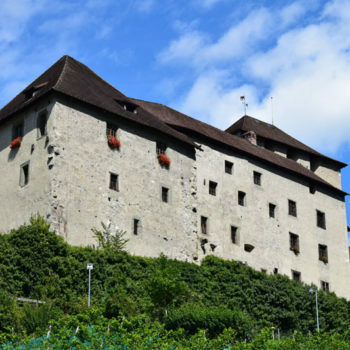 Despite the clear vote by the Vorarlbergian’s, the Austrian Government and the Allies prevented this and Vorarlberg became a state in the new Republic Austria. 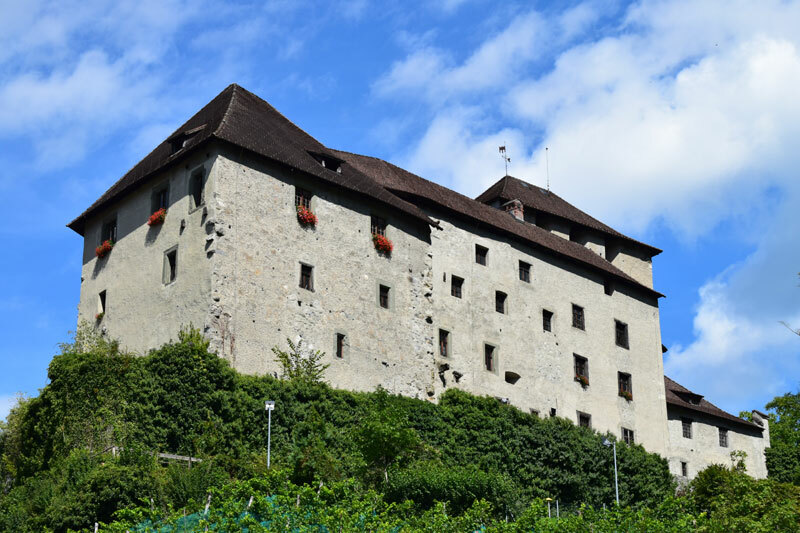 Except for a flat sliver of land along the river Rhein towards Bregenz, Vorarlberg is completely mountainous. 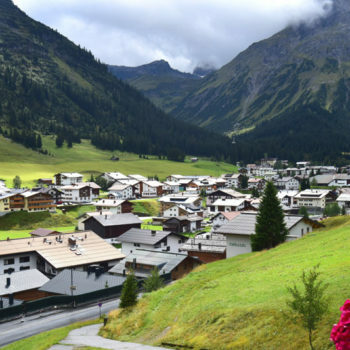 The dramatic alpine landscape, with peaks up to 3300 metres, green valleys dotted with pittoresque villages, lends itself to fantastic hikes. 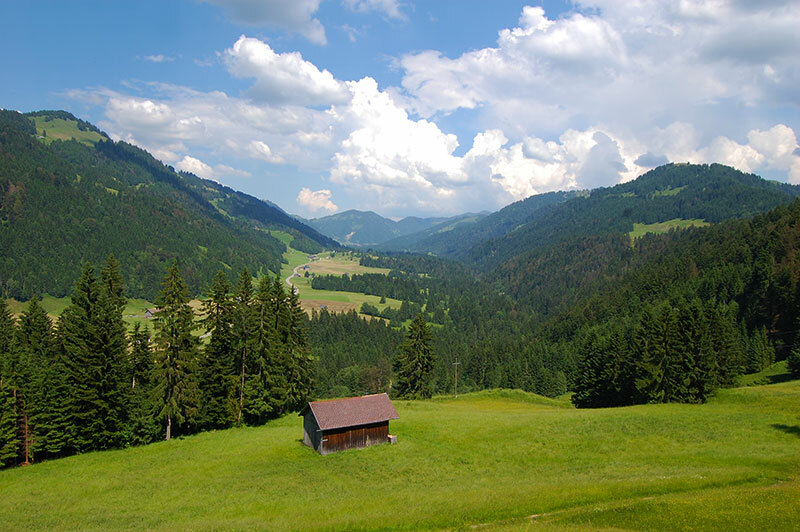 The region of Bregenzerwald is a mix of open agricultural landscapes, forrests and mountains. 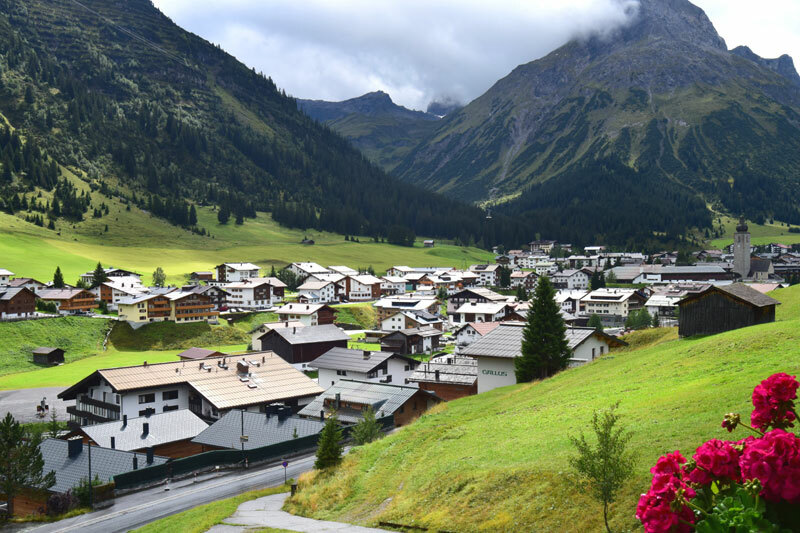 The lovely valley Kleinwalzertal surrounded by high mountains on three sides lies firmly within Vorarlberg, but is only only accessible via Germany. It’s famous for its hiking and ski possibilities. 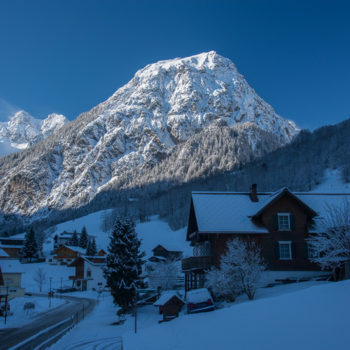 In the same manner as the other alpine states of Austria, winter tourism became the main focus point for tourism Vorarlberg. 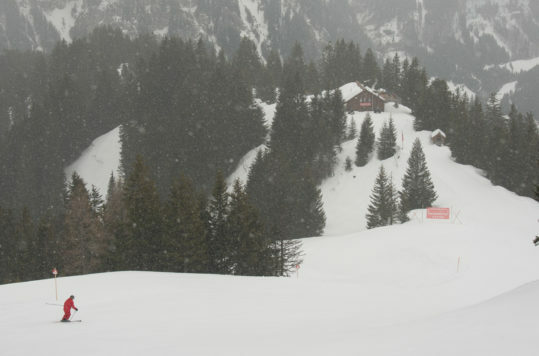 Moreover, as the rest of Austria, except for Burgenland, Vorarlberg has plenty of ski resorts. 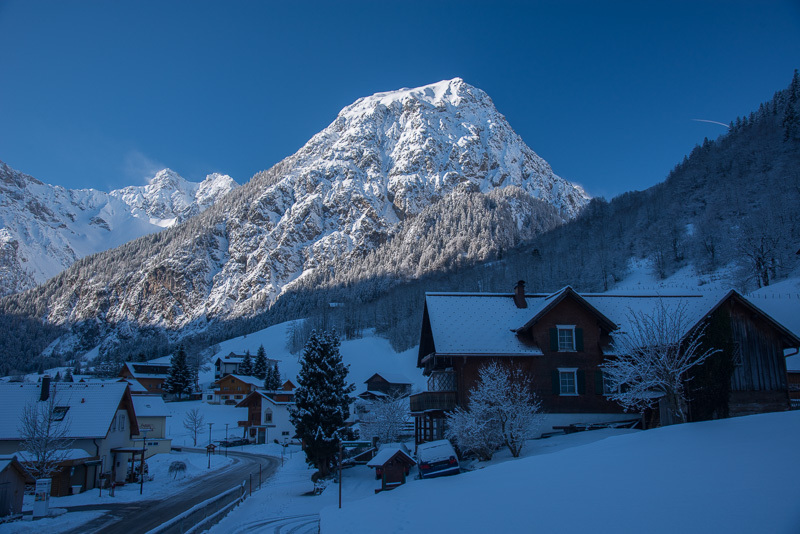 Montafon and Lech am Arlberg are examples of the most well-known ski resorts in the state. You’ve perhaps heard about Piz Buin? 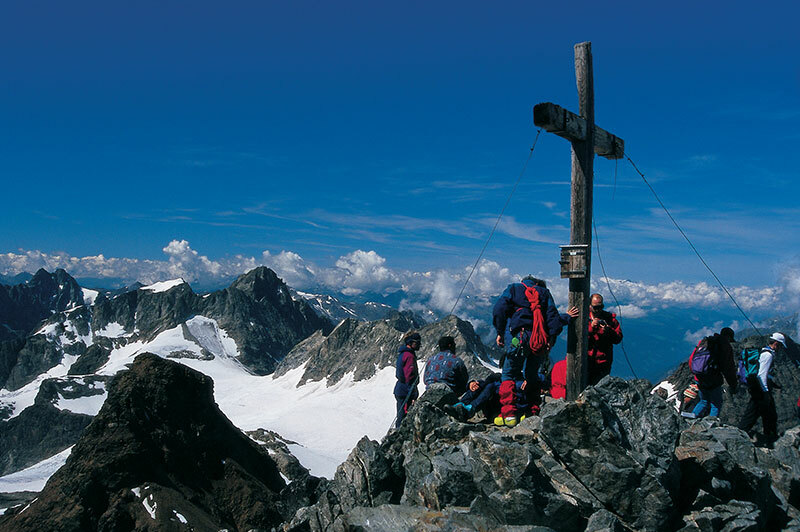 Yes, it is the highest mountain in Vorarlberg with 3312 m (10.866 ft), but also gives its name to a brand of skin protection products. 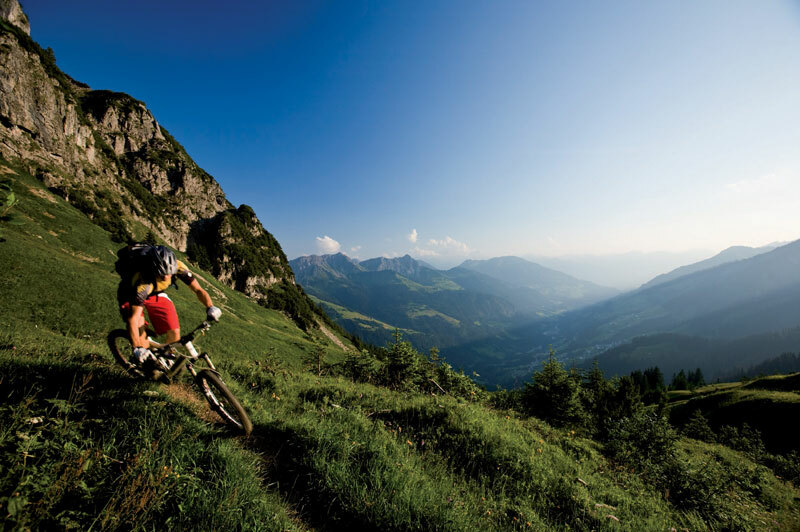 Nothwithstanding, Vorarlberg has also gained interest among travellers looking for summer attractions. Besides the obvious mountain hiking, you can enjoy some lake side fun as well. Austria has just a tiny 28-km shoreline at Lake Constance, as the majority of the lake is shared by Germany and Switzerland. Nonetheless, it gives the country access to the third largest lake in Europe. 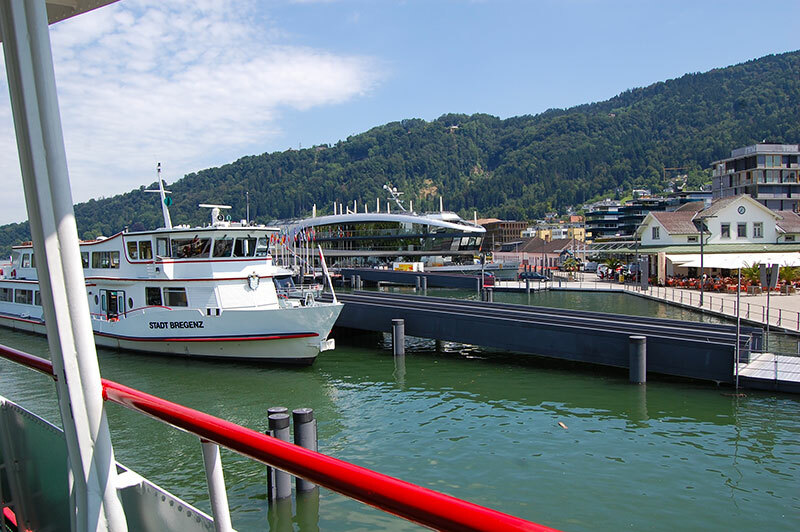 Boats and ferries that port in Bregenz all year, connect Vorarlberg with several towns in Switzerland and Germany. 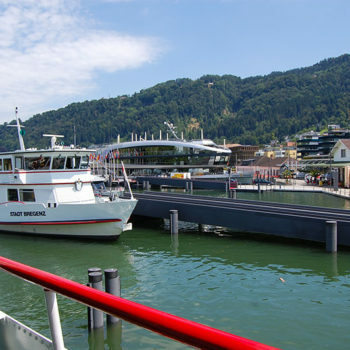 Harbour and day-cruises are also leaving from Bregenz during the summer months. The state capital is only the 3rd most populated town in the state, with its 30.000 inhabitants. On the other hand, Bregenz is elegant and has an eloquent atmosphere. 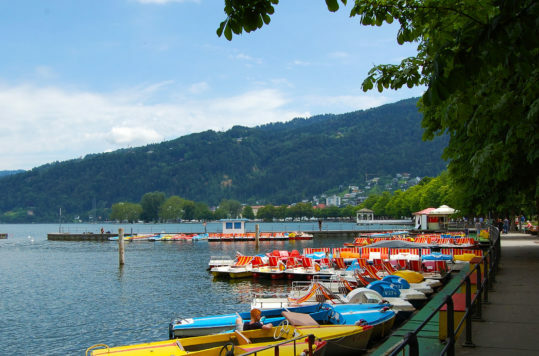 Not only because of its famous annual summer music festival, but also from its lakeside. Bregenz is probably the only place in Austria where you have a proper “sea-side promenade”, as it straddles on the shore of Lake Constance. That’s not bad, in a completely land locked country.